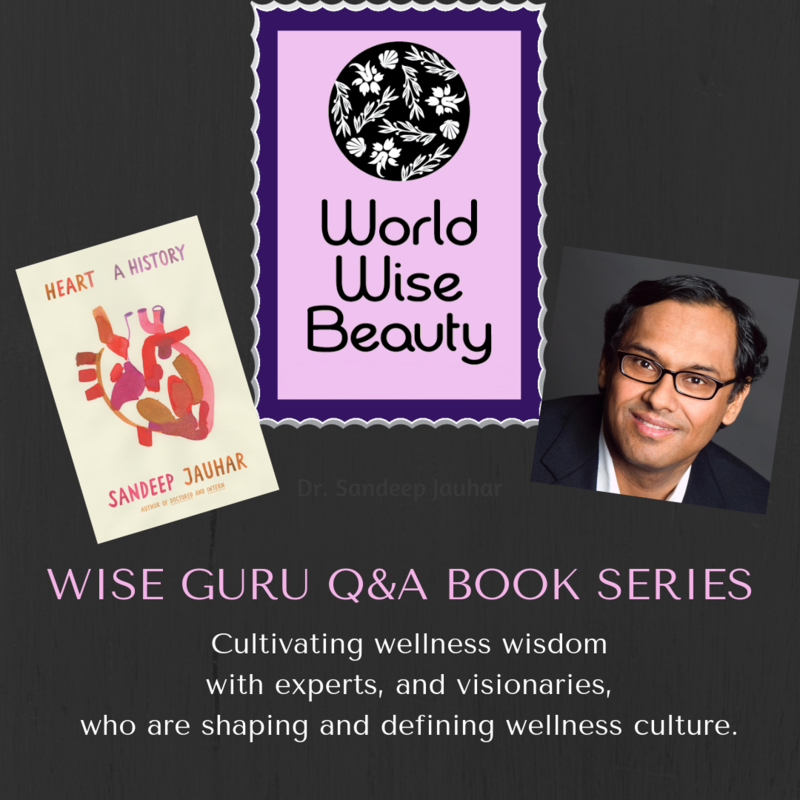 Another highly respected Wise Guru has joined me for a Q&A to talk about cultivating wellness wisdom and culture. I am honored to have Dr. Sandeep Jauhar here to discuss his new book ‘Heart ~ A History’. 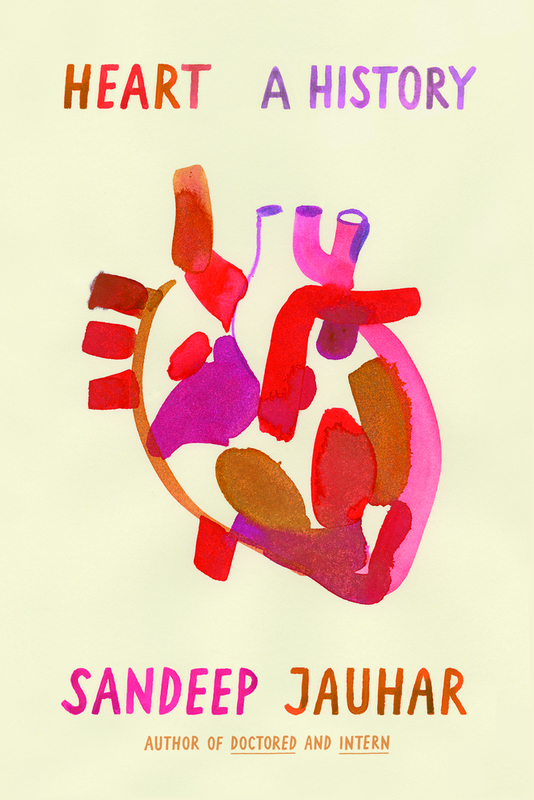 As a note to my readers who have not read the book yet, this book is much more than a scientific history of the heart. It’s an exploration of wellness philosophy, and a very personal engaging story. I also think it’s a call to action to change the paradigm of modern medicine today. Read this book and you will understand why a ‘change of heart’ is desperately needed in the field of medicine and in our society. After reading another book called ‘The Emperor of All Maladies’, A Biography of Cancer, the one takeaway I came away with is most researchers, doctors and surgeons are in the trenches and in some sense become ‘horses with blinders on’ when it comes to the research, treatments or surgeries they are championing. What impresses me about Dr. Jauhar is his willingness to step out of the trenches and question the practice of medicine which he is also a part of. I highly recommend everyone takes the time to read his last book “Doctored’: The Disillusionment of an American Physician, so you can understand the complications of the healthcare system we are currently operating in. To be clear, Dr. Jauhar’s new book ‘Heart: A History’ is not an indictment on the advancements of cardiology at all. He takes the time to walk us through the amazing almost magical medical heart procedures we have perfected that have helped patients survive heart failure and live longer. We humans love to hear the words, ‘live longer’, but his book is not a glorified promotion for heart defibrillators. Dr. Jauhar is really presenting a call to action for us as a society to think about the ‘systems’ and mindset we have built around medical innovation, and to look closer at the deeper holistic needs the heart depends on for beating and functioning well. This is a book that will leave you with big questions like ‘How do I want to die?’ and it also challenges us to reflect on our sometimes myopic obsession with medical advancements. We definitely don’t see the forest through the trees, and this goes for both patients and doctors. Just not this particular doctor and author. The ‘Heart: A History’ book is extremely informative on the complex mechanics of the heart, especially since we are learning from an accomplished insider in the world of cardiology, but I won’t delve into this part of the book too much, and will explore the psycho-social aspect of heart health I believe the good doctor wants us to understand more comprehensively. Laura Q- Welcome Dr. Jauhar. There are so many interesting and compelling personal stories you share in the book and it was hard to decide which story to highlight in a fairly short blog post. I have decided to begin with the story you share about your grandfather, as it dramatically illustrates the ideas I believe you are trying to convey about the importance of our psychological and emotional well-being in context of heart health. In scientific terms, you refer to as psycho-social factors in the book. Your grandfather living in India was bitten by a Snake working in his shop and did not make too much fuss about it. He went home for lunch and appeared to be fine. Why don’t you tell us what happened once he got home and what you understand about this tragic event today in retrospect? One of the reasons I wrote the book is I have a very malignant family history of heart disease. Both my maternal and paternal grandfathers died of sudden heart attack death. My maternal grandfather had a very unique heart attack event as he died shortly after a snake had bitten him. As with many stories passed down there was some family lore surrounding his death. I will explain… yes, he went home for lunch after he was bitten by a snake in his shop, and my father was with him. Neighbors brought in the snake they claimed did it and it was a large cobra. My grandfather took one look at it and said, “Oh my gosh how could I have survived this and he slumped to the floor and went unconscious. By the time the paramedics arrived, my grandfather was dead. He clearly panicked when he saw the snake and literally had a heart attack before my father’s eyes. My family thought he died from the snake bite, but the doctors at the hospital said it was because of sudden cardiac death. It’s very well documented today that intense emotional upset can lead to sudden death, either by causing a heart attack or in some cases by causing what is called broken heart syndrome or takotsubo cardiomyopathy. In response to intense emotional disruption, typically after a broken romantic relationship or after the death of a loved one, the heart acutely weakens into the shape of a Japanese Octopus trapping pot called called takotsubo and the acute weakening can lead to congestive heart failure, life threatening arrhythmia, and even sudden death. We now know that acute emotional stress can cause intense cardiac damage and even death. Lauroly Q– Amazing, I didn’t know there was an actual ‘broken heart syndrome’ in the cardiology field but have heard stories of older couples sometimes dying within in hours or weeks of each other. Heartbreak definitely can be an emotional and physiological experience as you are describing. You emphasize how complex and mysterious the heart is and there seems to be so many factors contributing to heart health and heart disease. You are particularly interested in the psycho-social factors. Beyond healthy diet and fitness regimens, what are the psycho-social factors that you find most important for preventing heart disease? What I try to talk about in my book, is the ‘metaphorical heart’ which is the idea that the heart is the locus or repository of emotions, and is crucial to our health. We see it all the time, the metaphorical heart intersecting with the biological heart. In other words, we know that the heart is not the actual seat of the emotions, but we also know our emotional lives are written into our hearts. Emotional stress and emotional disruption can cause all sorts of cardiac effects including heart damage. There is such a thing as the biological manifestation of heartbreak, and it’s a fascinating overlap that we don’t fully understand. The ancient philosophers actually had something right. There truly is something as heartbreak. That intense destruction of someone’s love life or family relationships can cause biological damage to the beating organ. Chronic emotional stress like living in an unhappy marriage, or occupational stress can contribute to a heart event. There is social stress like income inequality or living in underprivileged neighborhoods that can also increase the risk of developing heart disease, hypertension and heart failure. The metaphorical heart and the biological heart intersect in mysterious ways. Your capacity to handle stress, your capacity to transcend distress, your capacity to love, your capacity to manage your relationships, these things I have found over the years are also a matter of life and death. I think work relationships, love relationships, your relationship to yourself and how you cope with the world around you is essential to maintaining heart health. Laura Q- What you seem to be saying is everything matters when it comes to our heart health. Our heart’s health is affected by our overall state of well-being which is an interdependent system. With this understanding, we can understand how we need a new paradigm for healthcare and medicine. In western medicine and culture we are all about the parts and fixing the bits and parts, but we don’t seem to step back and review the overall holistic picture to figure out why we have the onset of disease. In the context of psycho-social factors and heart wellness can you speak to the challenges we face in our current society? I appreciated the metaphor you used ‘turning down the faucet rather than mopping up the floor’. Can you share what you mean by that? So much of modern medicine today is treating a disease that has already developed. What I try to argue is if we pay more attention to our metaphorical hearts and our emotional hearts, I believe we can make some headway in preventing heart disease. While eating a healthy diet and adhering to a good exercise plan is important, attention to how we live our lives is equally if not more important than the machines that we use to treat our hearts once the disease has already developed. Healthy lifestyle in all its facets helps our heart health but one thing we don’t appreciate enough is our healthy relationship to our loved ones, our neighbors, and fostering a sense of community. These important human connections are all important to the heart and living life well. Lauroly closing: I found Heart: A History to be ground breaking and appreciated the insightful wellness wisdom you are trying to convey. Thank you so much for sharing your wisdom and expertise Dr. Jauhar. Your voice and vision is so important for the medical field as we face an increase in cardiac disease despite the advancements we use to treat it. Cultivating wellness wisdom is a personal journey but wellness culture is created when we collectively place value on what truly matters to our hearts…literally. Dr. Sandeep Jauhar closing: Thank you, Laura. Focusing on wellness culture and disseminating ideas about how better to live our lives is crucially important to maintaining heart health and I appreciate what you are doing on that front.